Packaging machines are a vital part of the production process in the consumer goods industry. They often work in multi shift operation, and any malfunctions have to be repaired quickly. Proven automation technology provides clear diagnostic and service strategies, and a partner with a global presence can offer prompt on-site support. My recent blog covered aspects of OMAC Pack ML that enables OEM customers to achieve these goals, using technology that saves time and costs such as motion controllers with enough memory and processing capability to be able to control the entire machine with a single PLC. A multi-language programming environment for both the controller and the HMI are also necessary to guarantee flexibility and reduced development time. 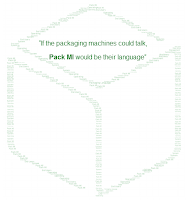 In addition, with PackML — a programming standard required by end-users for their packaging systems - becoming widely accepted by a lot of packaging OEMs, it is important that the machine programming environment is compliant with the standard which also helps reduce programming time. 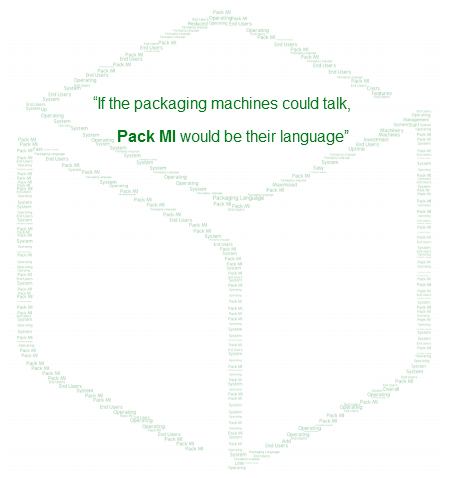 This posts reviews the importance and the benefits of the PackMl standard for the End Users. “As an end user, the problem you have when you build a line is that you buy a filler from one company, a coupon inserter from somebody else, a labeler, a caser, a palletizer and they're each made with a different engineering methodology. So when everything arrives at your factory, you face the task of making the machines work together. You spend a lot of money with a system integrator who has to go talk to each machine builder and get into the inner workings of each machine. It gets very expensive and very difficult. And where do most of the problems pop up during commissioning? Not in any individual machine, but in making the machines work together. With a standard methodology in place, the task of integrating the machines becomes much easier. Rather than spending all this time down in the guts of the PLC code aligning bits and bytes, the system integrator is focused on higher-level applications – making the line more efficient and providing tools that make the operator and supervisor more effective. a. Inter operable among different machine types. b. Identically configured common network tags. 2. Maximized system up time because standard PackML Mode and State Machines provide a consistent operations and look-and-feel to reduce the learning curve for users when troubleshooting machine problems. 3. Easy to add features to machines to a line because of reusable code and software objects that conform to the PackML standard. PackML Standard Helps Improve Packaging Line Performance of South African Breweries’ Soft Drink Division and Highlight Industries was able to build a machine with lower cost and optimized performance with Schneider Electric components. As a result, Highlight Industries saves 25 percent per panel due to lower-cost components and reduced labor to build and design.